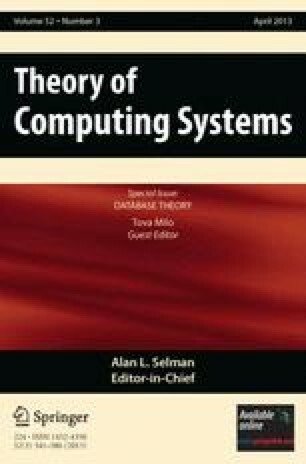 Given a set of points with uncertain locations, we consider the problem of computing the probability of each point lying on the skyline, that is, the probability that it is not dominated by any other input point. If each point’s uncertainty is described as a probability distribution over a discrete set of locations, we improve the best known exact solution. We also suggest why we believe our solution might be optimal. Next, we describe simple, near-linear time approximation algorithms for computing the probability of each point lying on the skyline. In addition, some of our methods can be adapted to construct data structures that can efficiently determine the probability of a query point lying on the skyline. P.A. was supported by Natural Sciences and Engineering Research Council of Canada through a post-doctoral fellowship program. P.K.A. was supported by NSF under grants CNS-05-40347, IIS-07-13498, CCF-09-40671, and CCF-10-12254, by ARO grants W911NF-07-1-0376 and W911NF-08-1-0452, by an NIH grant 1P50-GM-08183-01, and by a grant from the US–Israel Binational Science Foundation. L.A. and K.G.L. were supported by MADALGO—Center for Massive Data Algorithmics—a Center of the Danish National Research Foundation. K.G.L. was also supported in part by a Google Europe Fellowship in Search and Information Retrieval. J.M.P. was supported by subaward CIF-32 from NSF grant 0937060 to CRA and subaward CIF-A-32 from NSF grant 1019343 to CRA.